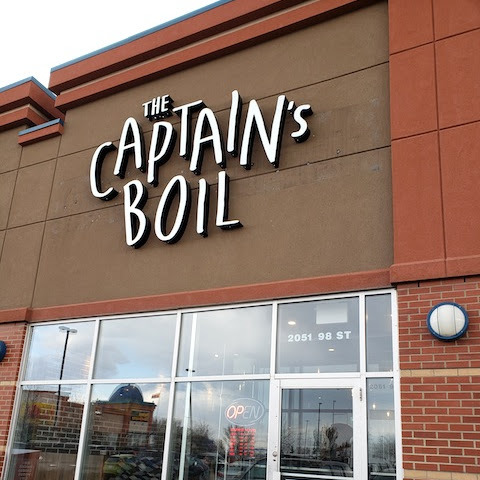 NOTE: This cafe is temporarily closed due to transition of ownership, so the following observations may no longer be valid after the cafe reopens. 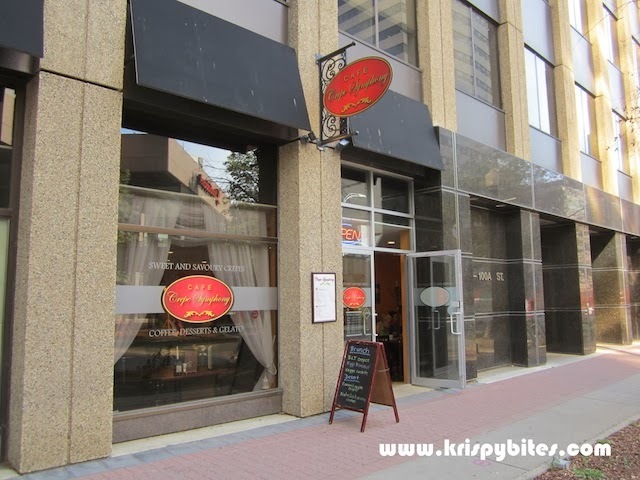 Crepe Symphony is a cafe in downtown that serves mainly savoury and sweet crepes. 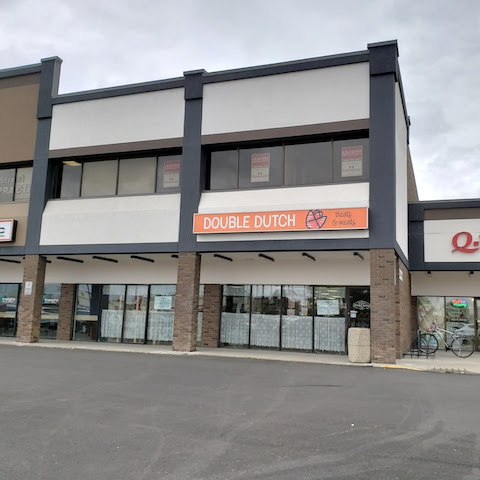 It's in a convenient location on 100A St and Jasper Ave (right beside Tres Carnales), but parking might be a bit of an issue as metered parking nearby is limited and downtown parkades are quite pricy. 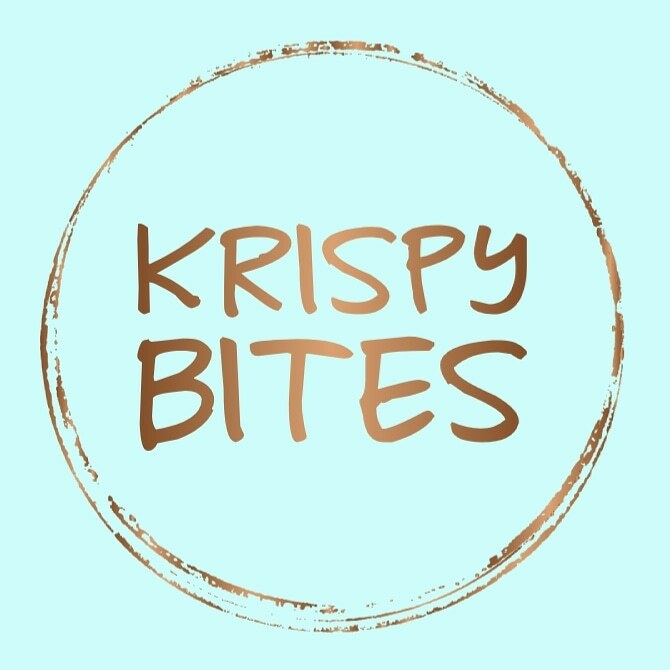 My first impression upon entering the store was that the ambiance was nice and welcoming, and service was prompt and attentive. A young man greeted us immediately and asked us to sit wherever we liked. 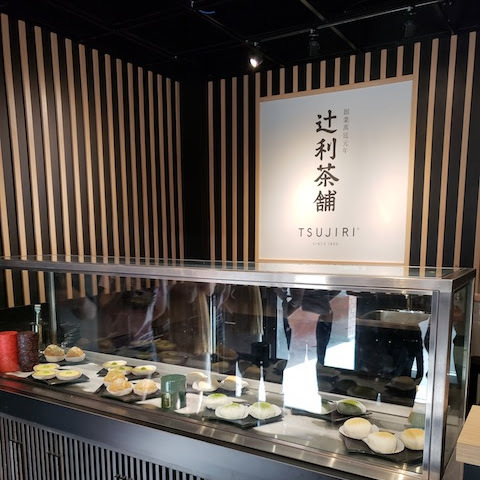 He asked us what drinks we would like, and when he saw us eying the sample plate on the counter, he wasted no time in telling us to grab a bite of their delicious caprice cake ($4.45/slice). 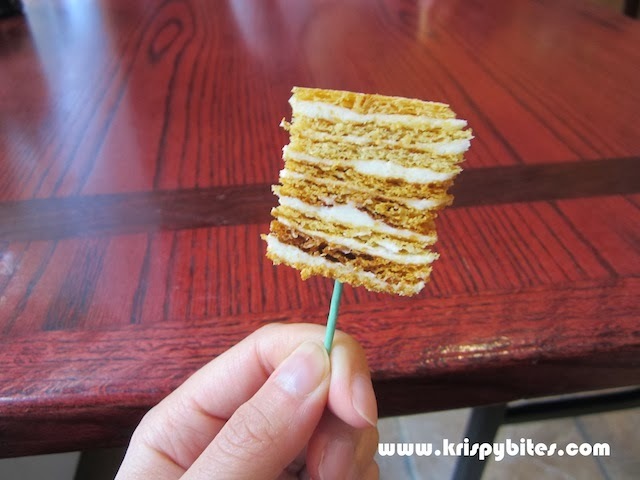 It was a layered coffee cake with cream in between the layers. The flavour was bold and intense, while the texture was a nice balance of rich cream and spongy cake. I enjoyed the taste, but found the cake a bit too sweet. I bought a couple slices to bring home, but I could only finish half a slice at a time due to the sweetness. One of the drinks on the menu caught my eye: the affogato, described as hazelnut gelato with a shot of espresso. I asked the young man whether it was a cold or hot drink, and he told me it was neither. 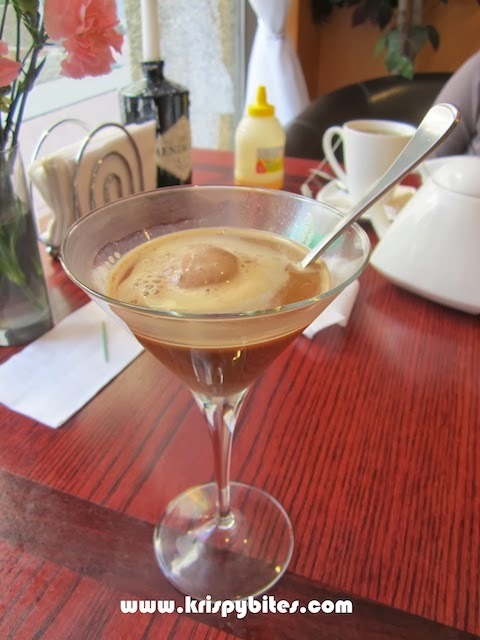 Although the gelato would be served cold and the espresso served hot, once they were combined in the glass, the drink would be just a bit colder than room temperature. The first sip was strange, but the taste grew on me. I tried a bit of gelato and it was extremely creamy with a rich hazelnut flavour, but there wasn't much of a hazelnut taste after the gelato melted into the drink. 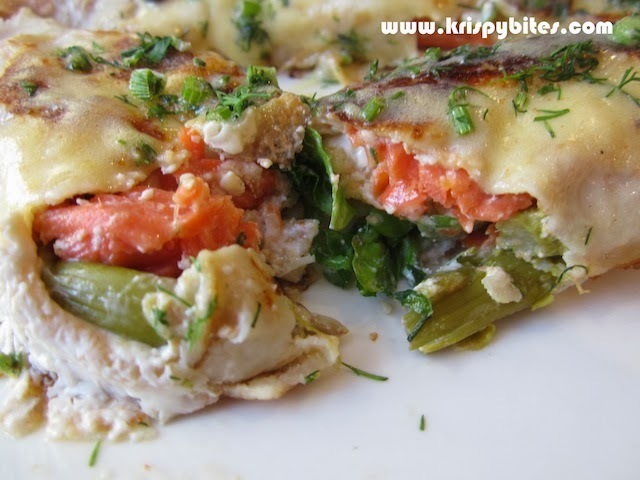 Since I was having lunch, I departed from my usual sweet crepe and chose the savoury smoked salmon with asparagus ($11.90). I received two thin crepes — slightly stuffed, and covered in lots of sauce. I couldn't taste the crepe at all because it was very thin and extremely soggy from the sauce, but the filling was alright. The portion was small for the price, and I was still hungry after finishing this dish. 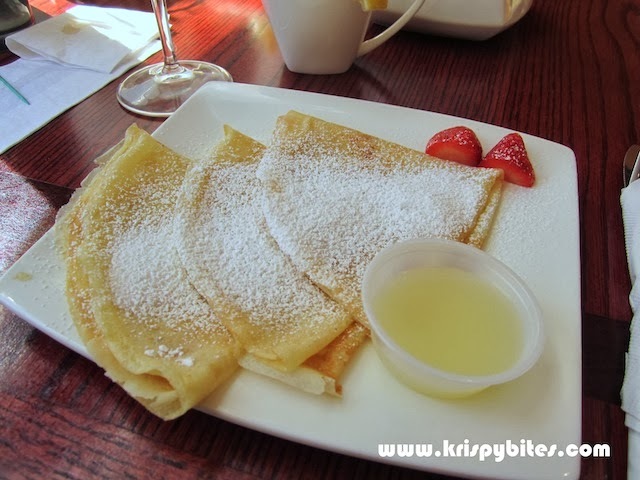 I decided to share a dessert crepe with my friend, and we settled on plain crepes with lemon juice and sugar ($6.52). We thought this would be a safe choice, but we were sorely disappointed. The lemon juice was from concentrate, and the taste was artificial. The crepes were dry and chewy with no flavour apart from an odd metallic taste. This must be the reason why all of the other crepes are drenched in sauce. At one point, the young man came over to ask us how the plain crepes were, and I told him they were not very good. 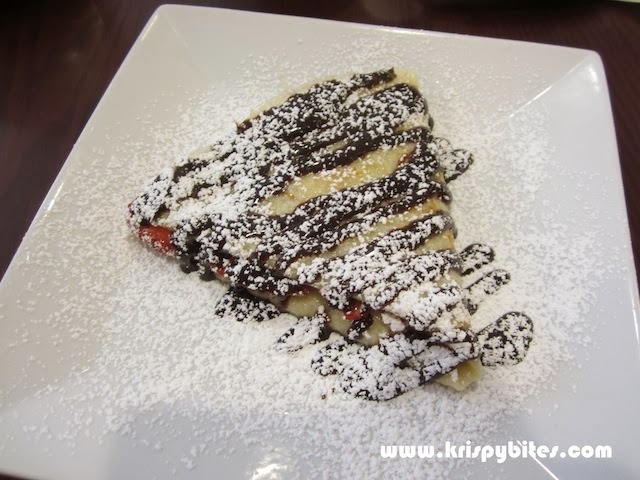 Instead of asking what was wrong, he said, "Oh you should try another dessert crepe next time then." 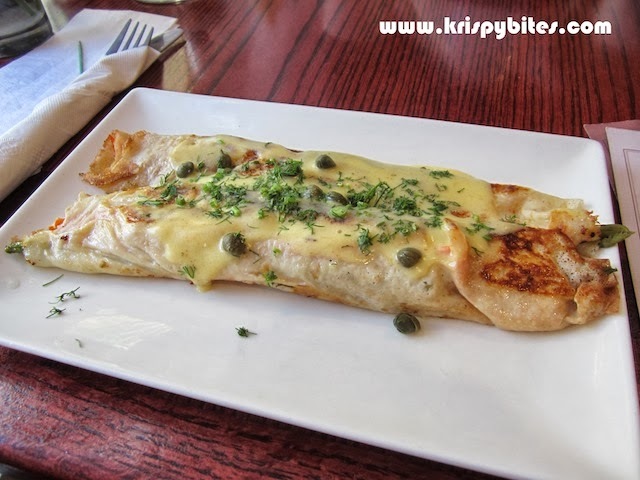 On my first visit, I noticed that the portions for savoury and sweet crepes were small, but the breakfast crepes looked bigger and tastier. 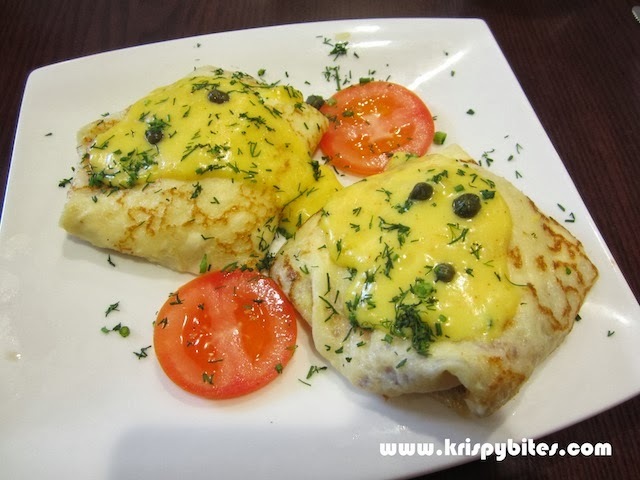 So when I returned with a Groupon, I decided to try the salmon eggs benedict ($11.81), a breakfast crepe with soft poached eggs, smoked salmon, cream cheese, capers, and Hollandaise sauce. This was much better than the smoked salmon with asparagus, and much more filling thanks to the two oozy eggs. I also tried a different dessert crepe on this occasion: banana-strawberry (special: $6 with cappuccino; reg $9.81 for 2 pieces) with dulce de leche and chocolate sauce. This was also much better than the plain crepes because the fruit filling and sauces completely masked the bland, dry and chewy crepes. While I enjoyed the ambiance, and service was decent overall, I thought the food was too expensive for what it was. I would only recommend the breakfast crepes, because the portions for the other crepes are not enough for the average appetite. Also I would like to mention that we were charged for hot water and lemon ($1), but this cost was never mentioned to us when we ordered, and we only found out when we got the bill. People with such negativity shouldn't be allowed in public spaces.